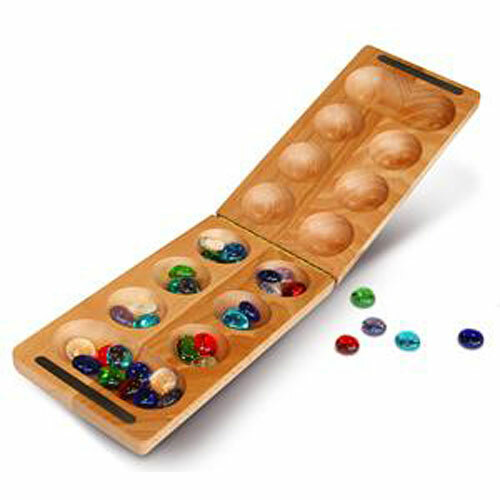 This is a high quality travel size African Stone Game (Mancala) with a piano style hinge, magnetic closure and glass playing stones. When the game is open it measures a full 17" x 4 ". When it is time to put the game away, the colored glass playing stones will tuck away neatly inside and the game will fold down to 8 1/2 x 4 1/2" Don't settle for the cheap imitation games. 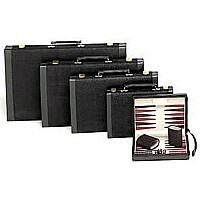 Buy quality and beauty! A 7,000 year old game consisting of diamonds! Got your attention yet?!? The captivating African Stone game, also known as Mancala is an ancient game that was played by scooping out pits and calas in the sand and, in many instances, used diamonds as stones. Many historians believe that Mancala is the oldest game in the world. 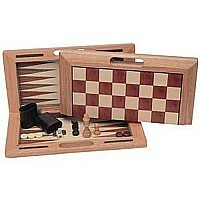 This particular set is perfect for traveling because of its folding wood board. 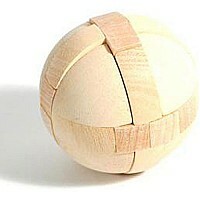 It's a stimulating game for adults as well as educational for children! 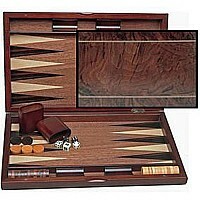 $79.95 Wood Inlay Backgammon 19"